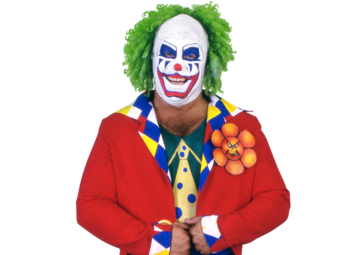 Doink the Clown is a professional wrestling character who first appeared in the World Wrestling Federation in 1992. He is a clown (or evil clown) wearing traditional clown makeup (or a mask decorated to resemble such) and brightly-colored clothes. Originally portrayed by professional wrestler Matt Osborne, Doink has since been portrayed by many other wrestlers both in the WWF (now WWE) and on the independent circuit.